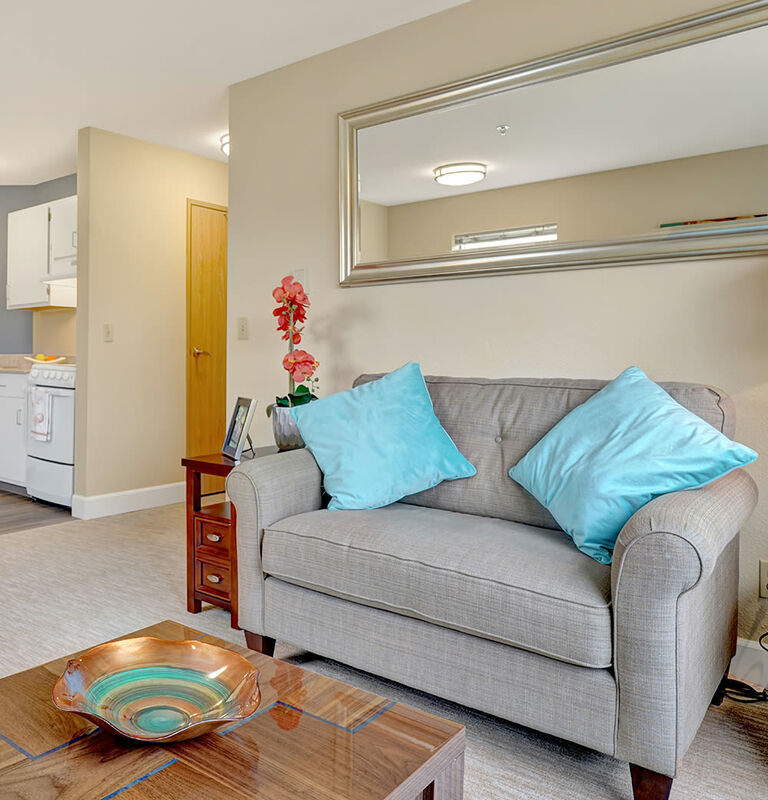 Nestled on green, wooded grounds and surrounded by city parks, Mountlake Terrace Plaza is your home for Independent Living in downtown Mountlake Terrace, WA. Situated near I-5, our senior living community allows residents to embrace a maintenance-free lifestyle just 13 miles north of the Seattle city center. We offer weekly linen services as well as light housekeeping services for residents in our Independent Living community. In addition, your bright, airy, and generously sized living space is perfect for quiet afternoons relaxing with your cat or dog as well as entertaining friends and family. Our pet-friendly community grounds also feature walking paths, outdoor courtyards, and flower gardens you and your pet are welcome to explore. If you like to swim, take advantage of our sparkling outdoor swimming pool or unwind in the spa. To help you stay active, our sophisticated community is also home to a fully equipped fitness center. Exercise on the cardio and strength-training equipment or have some fun with friends during the fitness classes. 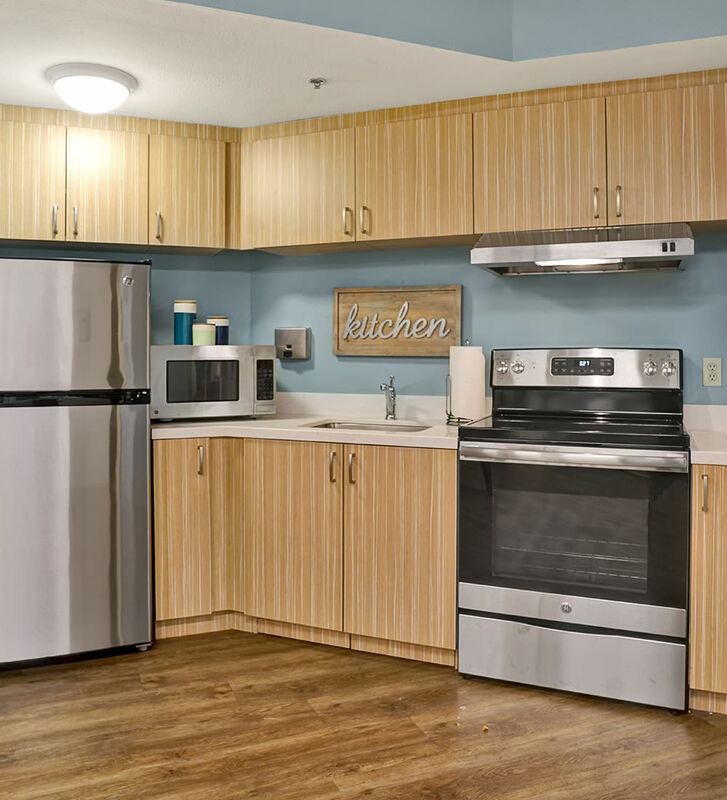 Schedule your tour today to learn more about our living options at Mountlake Terrace Plaza in Mountlake Terrace, WA.